The Wild supports reading in the local community by providing a program that gives students an opportunity to earn hockey tickets by hitting their reading goals! Click for more information. The Wild provides local schools with the resources to execute a floor hockey program in their physical education classes at no cost. Click to learn more! Join the best kids club in town! 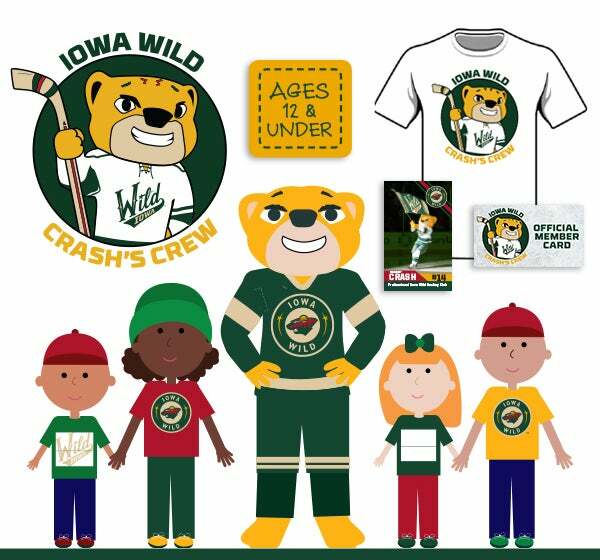 Receive all kinds of exclusive opportunities to hand out with Crash and the Wild. Click here to learn more! Kids between the ages of four and 12 have the chance to learn how to skate and play hockey through this six-session program! Click for more information or to register. 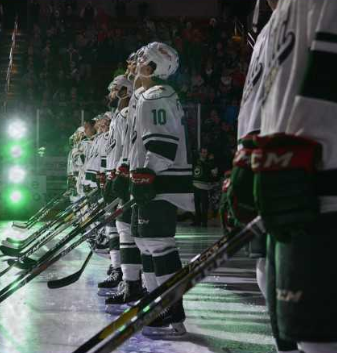 Your youth hockey player has the chance to stand with the Iowa Wild on the ice during the National Anthem!